The next generation Bulb Eater crushes straight, u-tube, and CFL lamps in a single machine! Intelli Technology onboard controls feature multiple sensing points for machine diagnostics and maintenance, and an LCD control panel for easy operating. 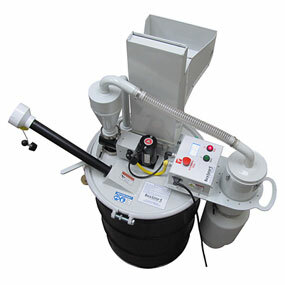 The Bulb Eater 3 uses a new 5-stage filtration system and is OSHA & ACGIH compliant. Save up to 50% on recycling costs, reducing labor related costs and required storage space!